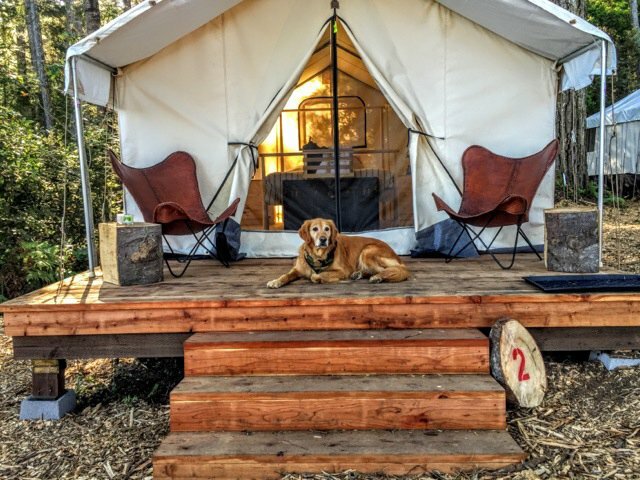 This luxury campground offers families glamping tents with full beds along the Pacific Coastal woods of Mendocino. 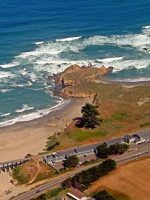 Families can easily walk to the historic town of Mendocino and the beach at Big River. 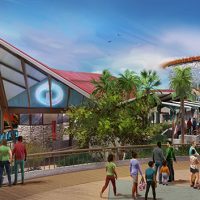 Each tent, which is elevated on a platform, features a bed and linens, chairs, lanterns, Wi-Fi, and a picnic table and fire pit outside. 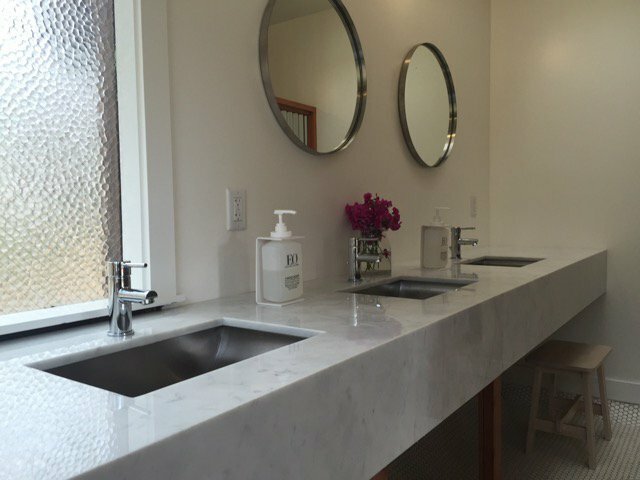 The bathrooms and showers are a short walk away from the tents, which are not heated. 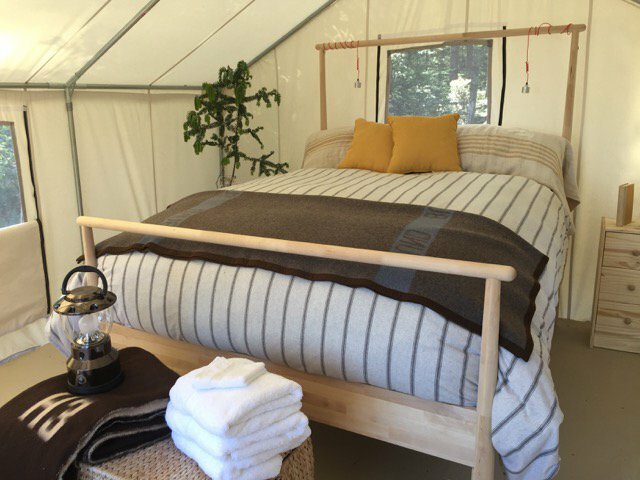 The Family Tents feature a queen bed and two twin beds and a cot can also be added to this tent or a queen bed and two sets of bunk beds. The Family Tent can accommodation between four and six people. 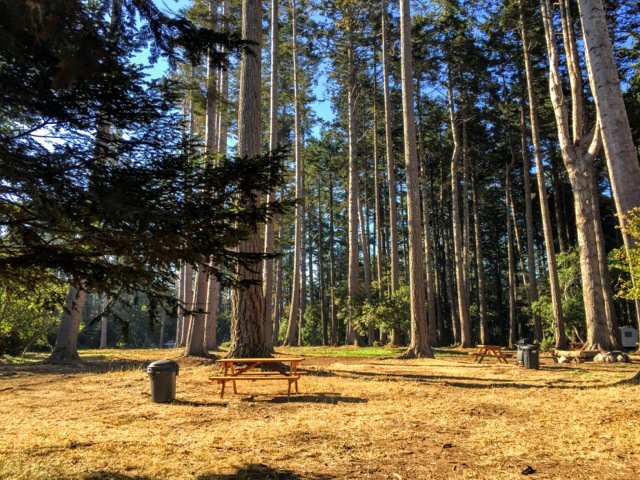 Mendocino Grove is open seasonally from late April through early November. Pets are welcome to stay. 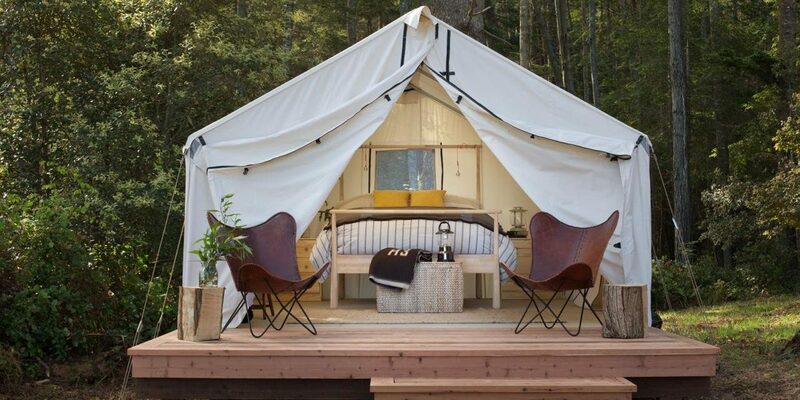 mendocino grove is a great intro to glamping. this place is clean, quiet and serene. all the things i dislike about camping are taken care of: putting up the tent, gathering wood, cooking and cleaning, sleeping in a bag, packing provisions, taking down the tent, etc. love the outdoor showers and proximity to good food in mendocino village. they have regular showers also.